I dread visiting a bank. You can’t always expect them to be digitally driven or socially connected. 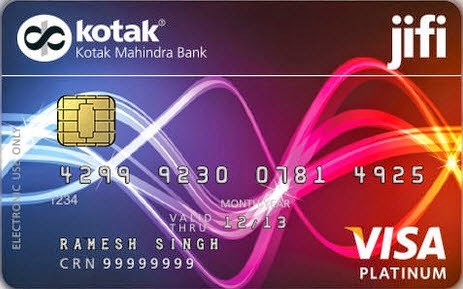 While banking, I also look for convenience and comfort besides the usual perks like redemption of points, rewards, etc. In short, I want my banking experience to be totally rewarding. Keeping in mind the ever growing need to cater to India’s tech-savvy and socially networked youth, Kotak Mahindra Bank has recently launched Jifi, a fully integrated social bank account. If you like hanging out on Facebook or Twitter, Jifi can be a complete game changer in the way you look at banking. I kid you not! No Minimum Balance? No Worries. For starters, you don’t have to lose hair on maintaining a minimum balance in your bank account anymore. Make an initial payment of INR 5,000 to get started with Jifi, and you’ll be just fine. 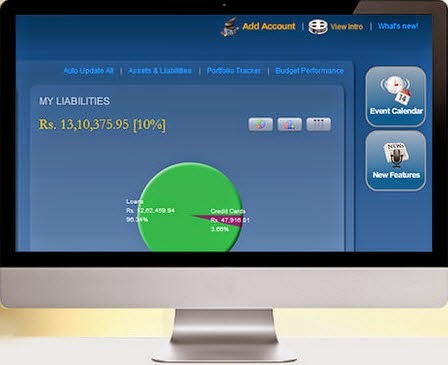 This zero-interest current account comes with no minimum balance requirement. Provides the kind of flexibility you’d always desired from an Indian bank. That’s not all, if you are able to maintain a balance of INR 25,000 or above, Jifi will automatically convert the amount into term deposits at applicable interest rates, allowing you to earn high returns on idle money. 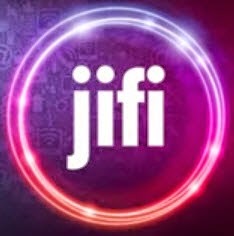 To make banking fun, Jifi introduces a unique Loyalty Club through which you can earn points and get rewarded. Redeem these “social and transaction” points to buy exciting lifestyle, shopping, and dining products online. The more number of Facebook friends you invite and add to your Jifi network, the more your social points are. Likes and comments on Facebook will only add to your kitty, so what are you waiting for? 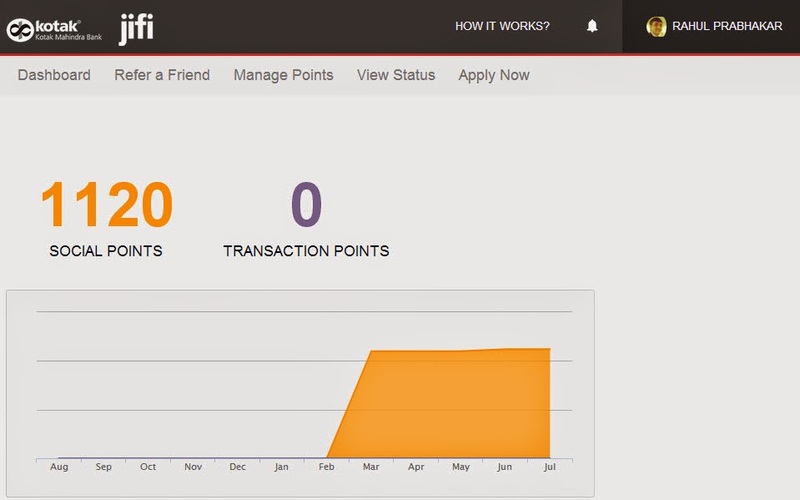 Earn transactional points for every online transaction, like 10 points for every introduction. Convert these transactional points to social points or even trade points with friends. To open a Jifi account, simply invite yourself with Facebook credentials and follow the instructions mentioned in the activation mail. In case you don’t have a Facebook account, use the email option available on the bank’s website. Although a Facebook account is not a prerequisite, you will need one as the Loyalty Club thrives on it. Besides Facebook and Twitter, you can transact through net banking and the supercool Kotak Mobile Banking (KMB) app that runs on Android, iOS, and Blackberry devices. You also have access to conventional facilities such as pan-India branch, countrywide ATM networks and toll-free number, a personal finance tracker called MoneyWatch, a funky platinum debit card, and a net card. In order to perfectly fit in the social banking slot and eliminate human intervention and error, transactions on a Jifi account can be carried on via Twitter. For instance, you can tweet Jifi about a cheque book request or make inquiries about your account balance or transaction history. Managing banking activities on Jifi through your Twitter handle is seamless and efficient. Finally, I’m quite excited to see that banking in India is now truly becoming social, and Jifi is providing a single window for every banking need of our youth. See http://www.kotakjifi.com for more information on Jifi. Please, JIFI, come to the U.S. This sound like banking whose time has come! All the best and Happy Blogging ! !